On Saturday 18 January I went to my first ever blogger meet-up: the Cape Town Bloggers Meet, or #CPTBloggerMeet as it was tagged on social media. Now, I'm a big introvert: I'm perfectly happy sitting in my room all alone. Going and meeting 30 women that I have interacted with online actually in person - it took some psyching up. 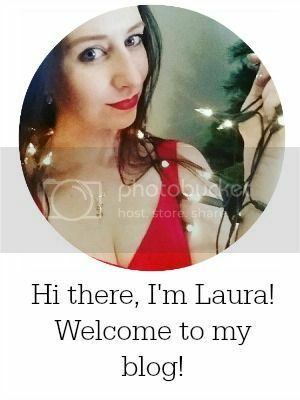 Nevertheless, I've been trying to push myself to try new things, so when the initial tweets of a Cape Town blogger meet-up started circulating, I was immediately interested, and once the deets were finalized on Lauren's blog, I was in! 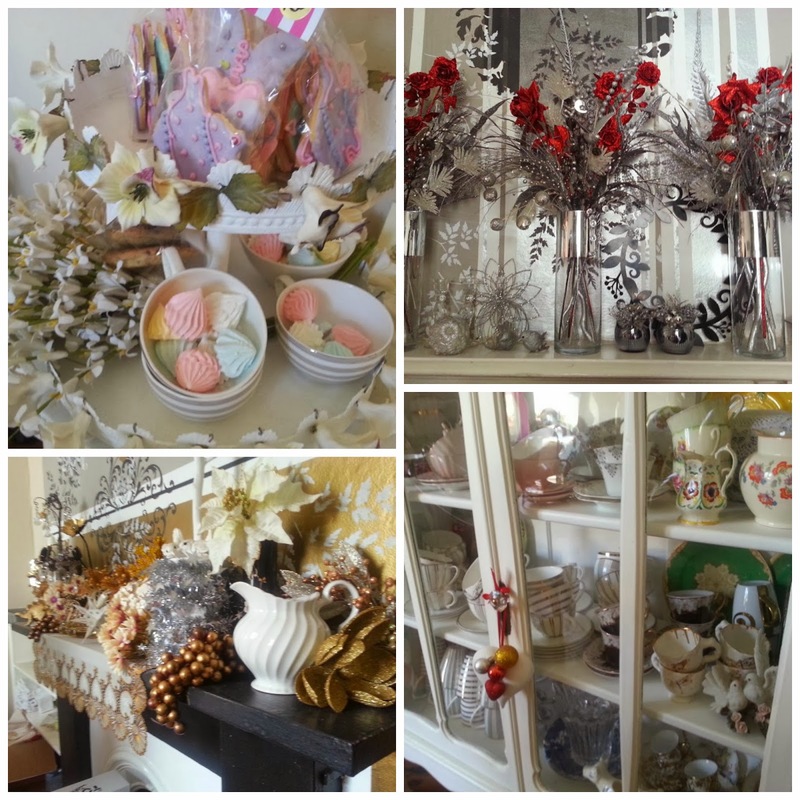 This event was held at Shelley's Gourmet Cafe - a lovely cafe in Kloof Street with beautiful decor perfect for lunch with the girls! It's an eclectic mix of pretty and delicate items with lots of glittery goodness! (I will admit, I had been there for brunch before one Saturday last year, but (a) we sat outside under the tree and (b) my hangover was starting to hit me so I hadn't really noticed how pretty it was). The lunch was action packed. We had several speakers, including Fiona from Inspired Living, Dirna Grobbelaar from IVOhealth and Ronel from Rain Africa. We were also treated to an unbelievably good shoulder massage from the ladies of the Rain Spa. (Seriously, I've been meaning to get a massage since I finished my thesis, to get all the stress knots out. I finished my thesis last January). In addition to the loaded goodie bags on our seats, there were also lots of prizes up for grabs, and every blogger went home with a little something extra. 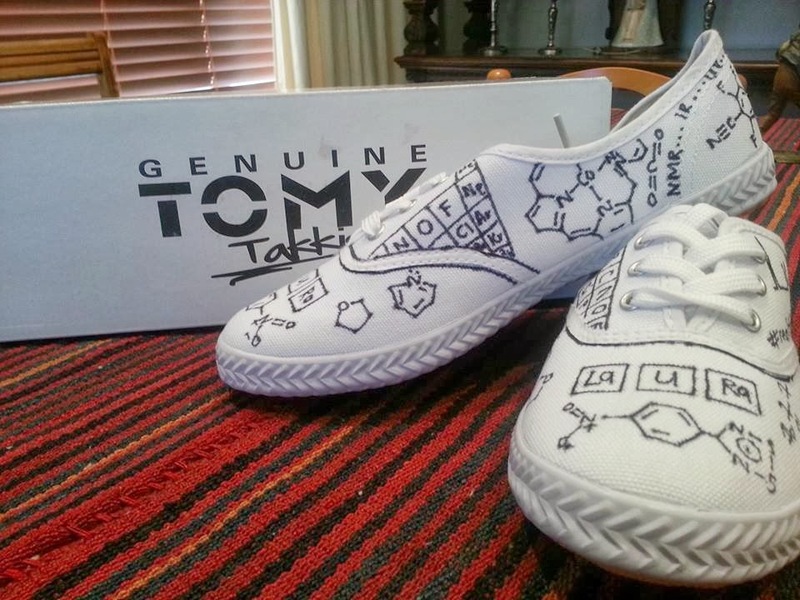 There was also a competition to see who could decorate their Tomy Takkies the best - of course, I had to decorate mine with chemistry doodles! What do you think? Of course, one of the biggest decisions to be made was "what to wear?". This is what I ended up wearing. 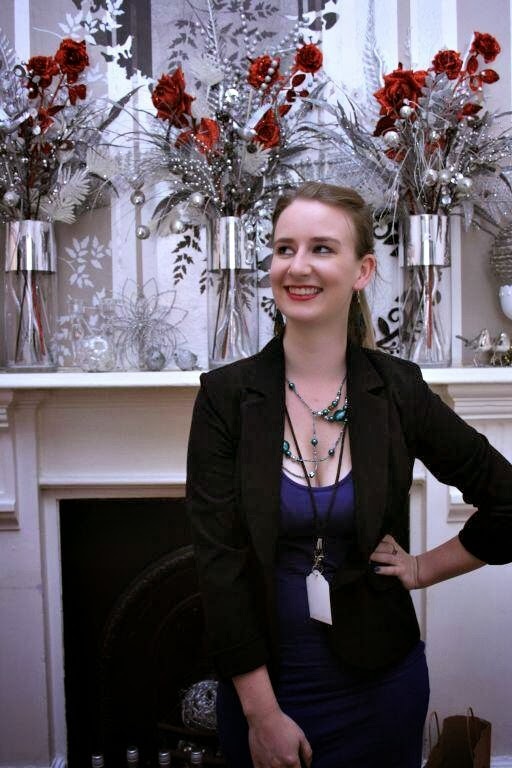 My blue bodycon dress is from Woolworths (get it here), my blazer is from Edgars (Petite range), my beaded necklace was a gift and my peacock feather earrings were DIY'ed. I decided against heels (too much walking to be done that day) and went with simple black ballet flats. The red lipstick I wore was this one. I staggered out barely managing to carry everything. This is what I eventually unpacked (plus a whole bunch of vouchers and such that are now conveniently organised in the pocket file!). I'll be posting some reviews over the next few weeks once I've had a chance to get a-testing! You can see a list of who all attended here and a list of all the sponsors here. Photos my own, except the photo of me, which is by Amina. 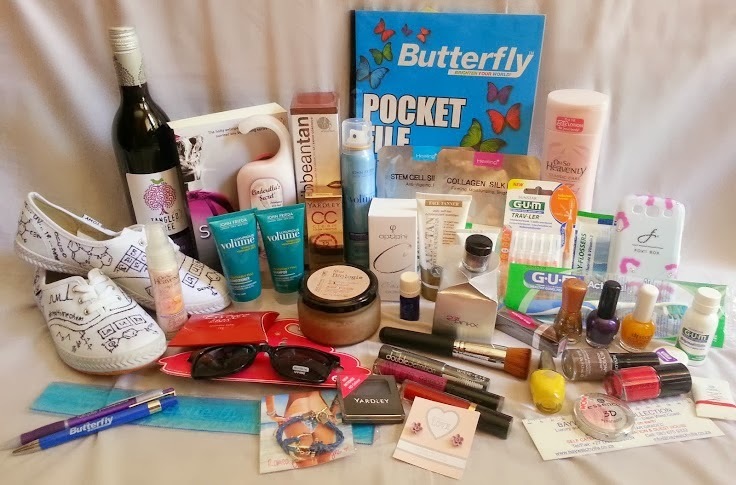 You look beautiful!And I love your Tomy Takkie design:) Now that is what you call a goodie bag,wow! I will be there next time! Your takkie design is my favourite from the photos I've seen. Aw, thanks Natasha :) I would love to meet you at the next one! Stunning post Whimsy - man I love saying that. Thanks for the mention. You hid it quite well that you are an introvert, you were really sweet to me and I appreciate the kindness. No, thank you for the great candid shot ;) It was so nice to meet you, you were so sweet!